Happy almost-August, friends! Have you started getting organized for Back to School 2018? We've been hard at work creating and updating resources - and getting ready ourselves for a fresh new year! As sad as we are to see our summer break come to an end, there is something about a new year and a fresh start that is truly invigorating. Do you find starting fresh to be energizing, too? While searching for the perfect items to make this year the BEST yet, we take full advantage of the TpT Wish List feature, often adding several resources at a time until we can devote our full attention to narrowing down the search for a particular item...meaning our wishlist is quite "robust." Yeah, we'll go with "robust," it sounds very positive and not at all like we've "junked" it up by having hundreds of items on it. No matter how robust your own wish list is, we want to make sure you DON'T GET STUCK with a full wish list as we head back to school. Now is the perfect time to make some purchases - it's the annual TpT Back to School SALE! 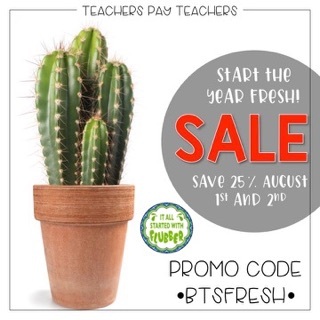 Use code BTSFRESH to save on the items on your wish list - August 1-2 only! Save up to 25% during this site-wide sale! Enjoy the sale and the last weeks of your summer break! "Snow" Fooling - This Christmas in July Giveaway is Huge! Just think of all the BTS fun you could have with these! Even Santa would love this one! 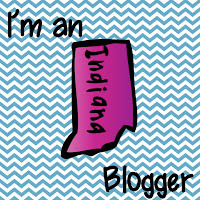 Watch this quick video for more information - then hurry over to enter!! This giveaway ends Thursday, July 26 at midnight Eastern time! Also, check our Instagram post for even more chances to win by following some of our talented teacher-author friends! Hey, friends - happy July! We have a busy week ahead as we head out to a conference in Nashville. Before we take off, though, we wanted to throw out this little freebie for you. As we head into BTS season next month, we put a lot of pressure on ourselves to get things perfect. Just remember to take care of yourself and DONUT stress! We hope the NOTES AND QUOTES freebie we're sending to our subscribers will help a bit! Not an email subscriber or follower yet, DONUT worry - just click the link to the right to sign up! You can also click this link to be an It All Started with Flubber follower to receive discounts on all new products. 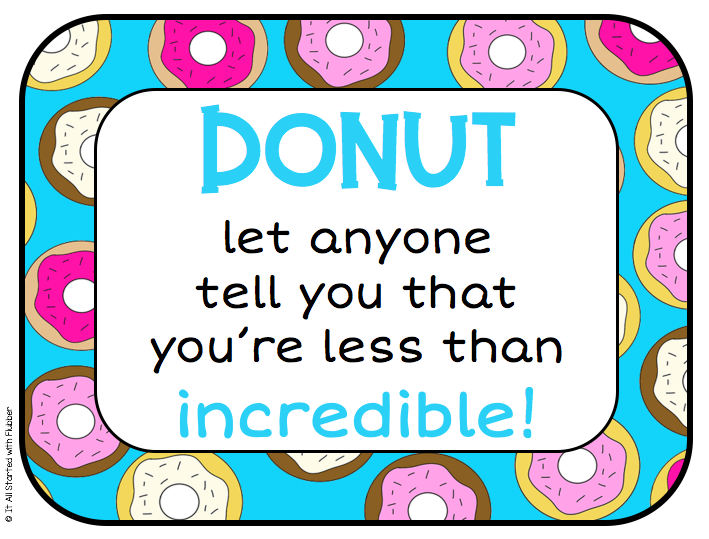 You will find this DONUT Classroom Decor Notes and Quotes as a freebie in our store as a thank you for following us! Post pictures on our blog or any social media platform to show us how you used these in your classroom! start with a task that has you really excited, or one that gives you the biggest bang for your buck (time) - arranging desks is the one for me! don't stress if nothing gets checked off once in awhile - you are on summer break, you know! labels, labels, labels - we print SO MANY classroom things on labels, from workbook or folder labels for each student to a strip of student names in fun fonts for each child, use those labels! We hope you have MANY more days before you have to think about BTS, but if you are like us and already have begun to think about getting organized, take it small in little bites and it's not nearly such a monstrous task!